Is your semi having troubles? Need a tune up? We can do it all. 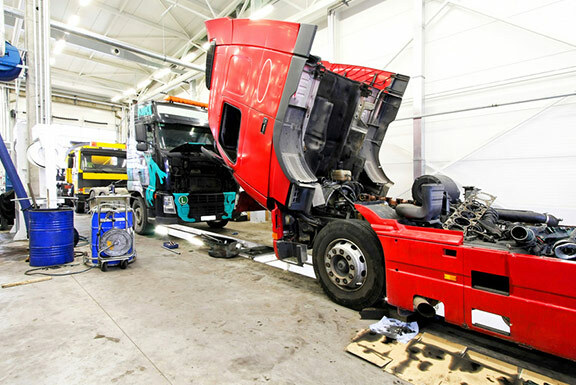 With comprehensive truck repair services that include Heating and Cooling services, Electrical repair, Transmission and Motor Repair, Rear-End Repairs, and other Heavy Duty Truck repairs. Our goal is to offer the best services available at affordable prices to get you back on the road in no time. As our customer, you will receive the finest quality repairs available. As a member of the business community we adhere to a Code of Ethics, our pledge to you of honesty, integrity, safety, and craftsmanship. So, if it is a simple oil change you’re looking for or you can’t even get that truck of yours to run – we can help you either way.